Surf the Internet all day, watch movies online or check work e-mails anytime and anywhere, even outside your home. At Ara Vista Village, it is always possible. This is because residents of Ara Vista Village has all-day access to the Internet via Wi-Fi connection available in every corner of the neighborhood. That is why it is called a TELEPOLIS. Ara Vista Village is not just near schools and recreational venues. The community development has them within its vicinity. Ara Vista Village devotes a large part of its 50-hectare green expanse to residential and mixed-use developments, while some are dedicated to institutional and commercial establishments. 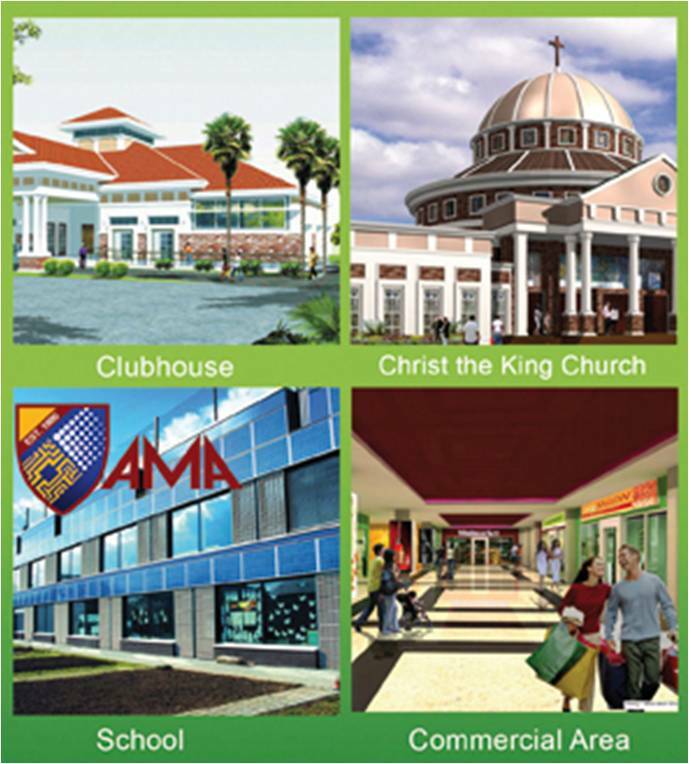 Amenities include a clubhouse with swimming pools and function areas, tennis and basketball courts, a fitness center, theme parks as well as establishments like AMA IT School, Christ The King Church and many retail spaces.